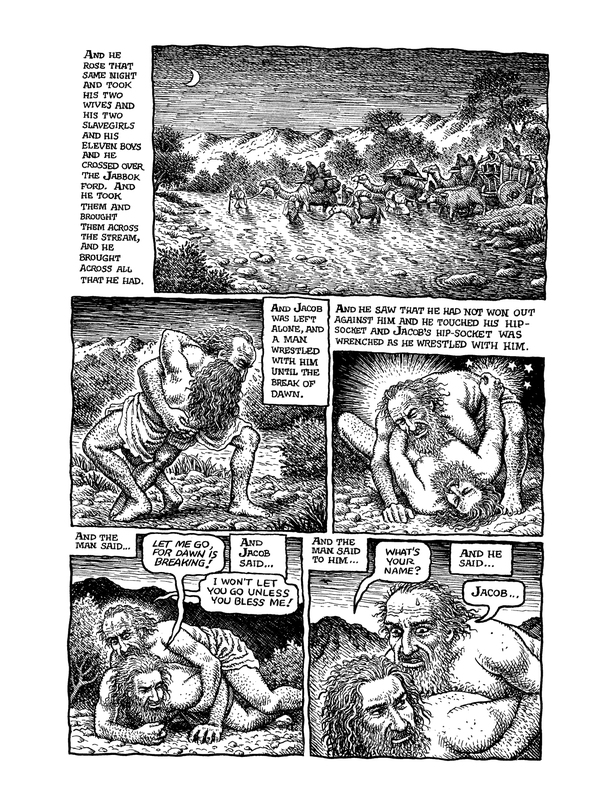 The Hammer Museum presents seminal comic artist R. Crumb’s adaptation of the first book of the Old Testament, the Book of Genesis. 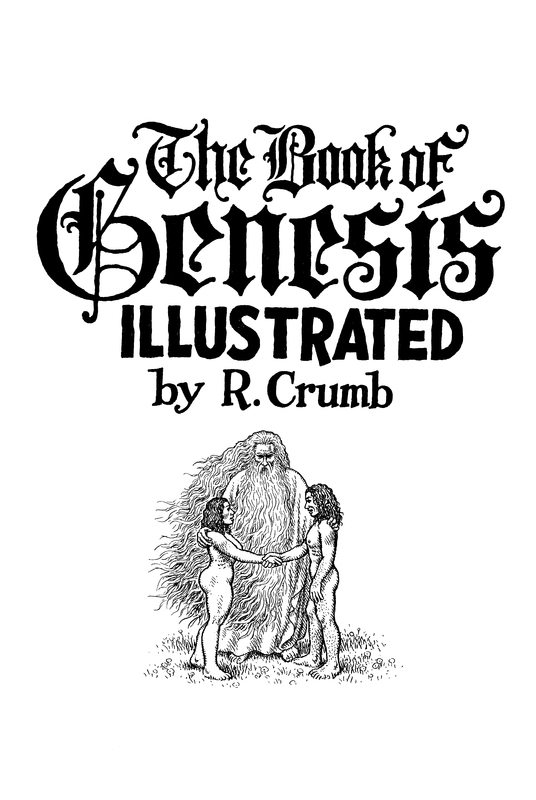 Crumb has spent the last five years on this incredibly ambitious endeavor. 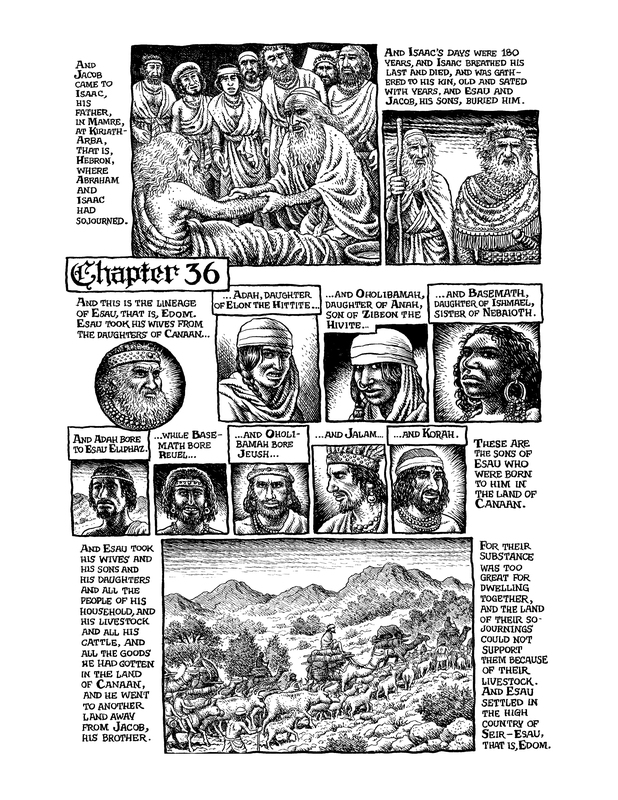 The exhibition features 207 individual, black and white drawings incorporating every word from all fifty chapters, as well as a cover, title page, introduction and back cover. 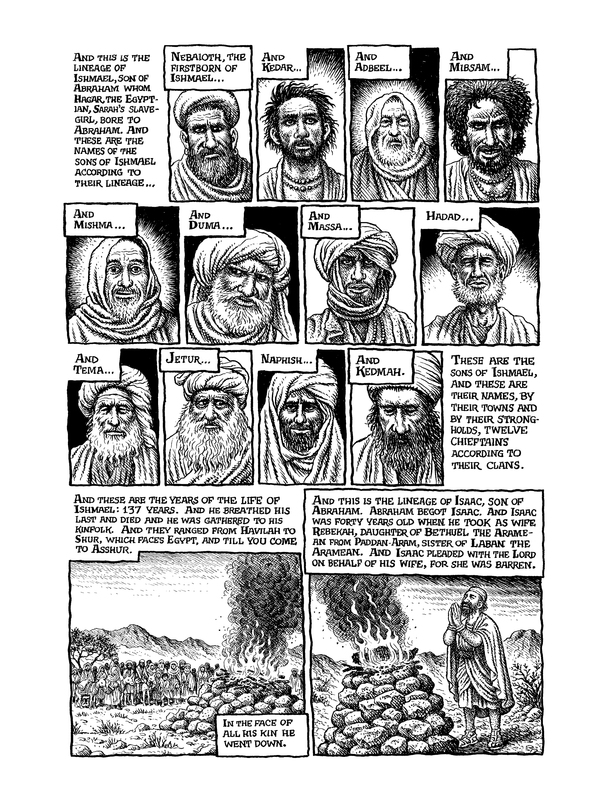 Each drawing contains six to eight comic panels illustrating the stories of Adam and Eve, Noah’s Ark, Sodom and Gomorrah, and more. 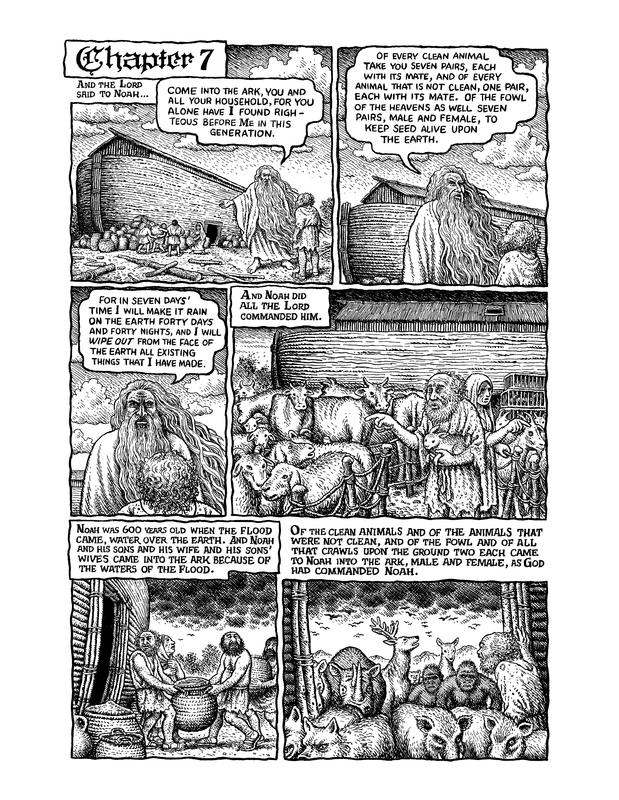 Using his signature bawdy style, Crumb’s version of the Book of Genesis puts an entirely new twist on the Bible. 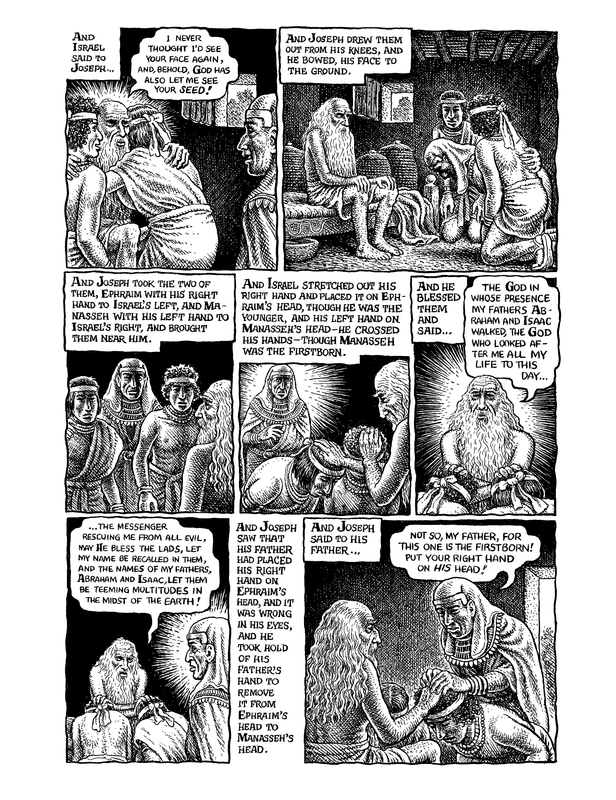 For nearly fifty years R. Crumb has contributed a plethora of zany, outrageous, and riotous figures to the world of comics. 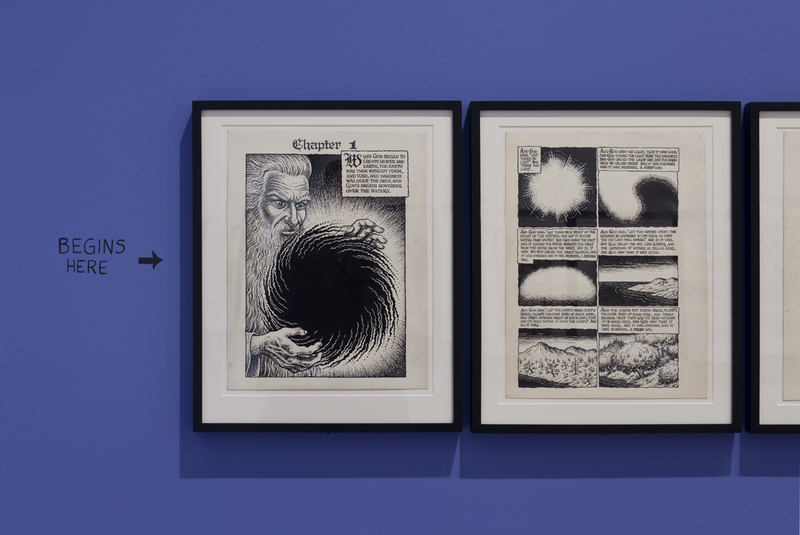 His impact on the underground comic world is immeasurable and his drawings have been highly influential to countless artists working in the contemporary art field and commercially. 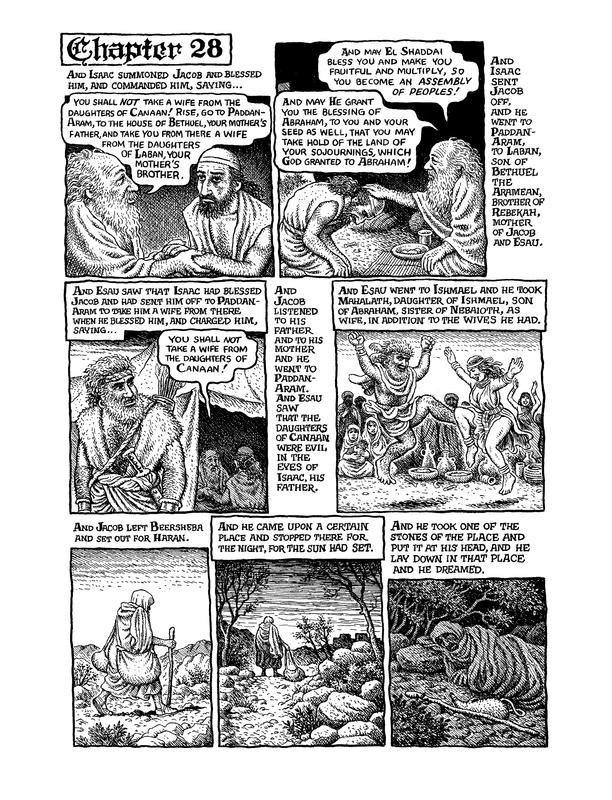 Drawing from everyday events and characters, he tells stories of pathetic men (often modeled after himself), randy old men chasing exceptionally voluptuous women, and other odd characters including gurus, seers and talking animals. His stories illustrate the most basic human qualities: fragility, hubris, weakness, cruelty, paranoia, neuroses, fear, and shallowness. He is unabashed in his depictions of the lowest depths of misery and the dark sides of humanity, yet always maintains a sense of humor. Often criticized for being overtly sexual, violent, racist and misanthropic, he is steadfast in his convictions to share his perspective. 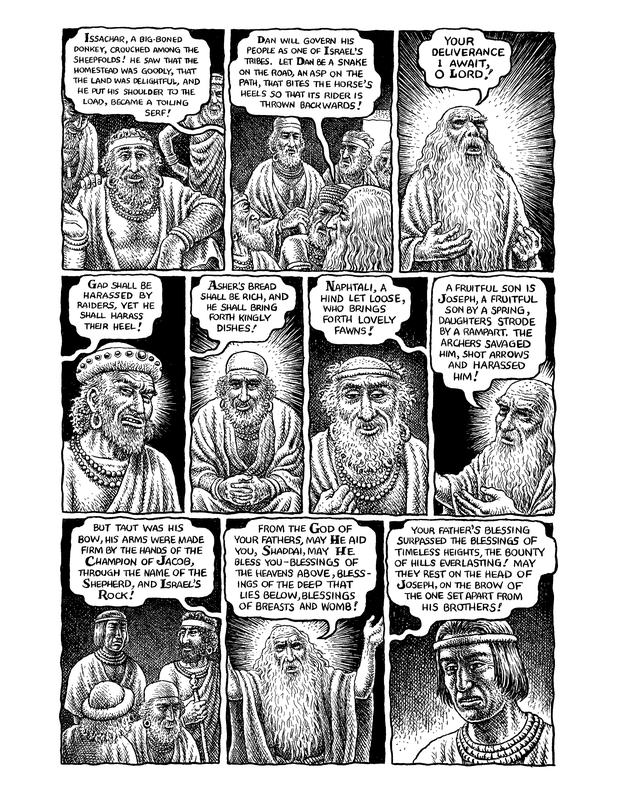 Like a modern day Daumier, he keenly observes the hypocrisies and idiosyncrasies of human behavior with the sharp wit and cutting eye of a staunch critic. 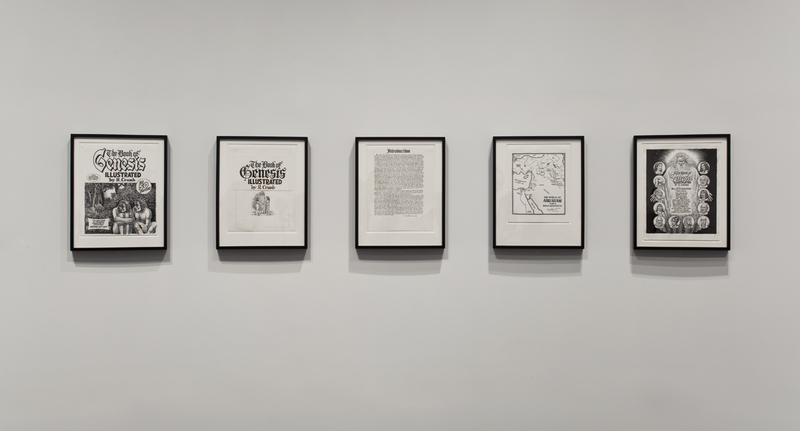 Organized by Ali Subotnick, Hammer curator. 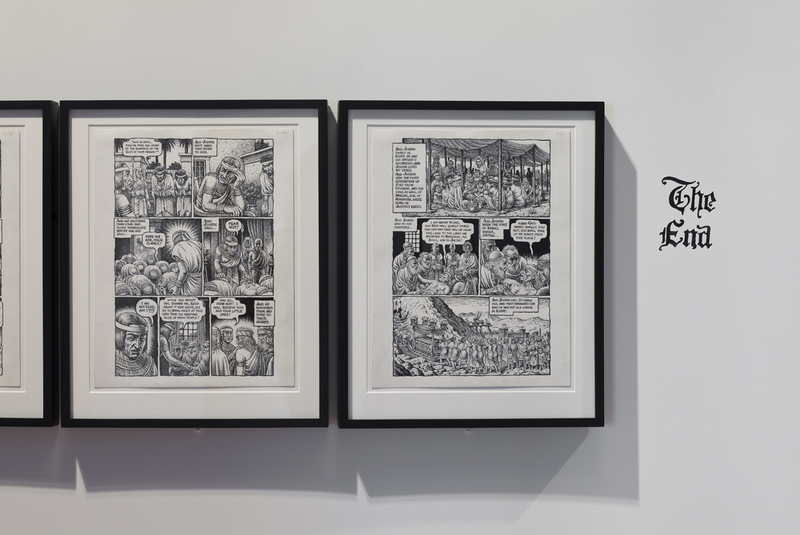 Born in Philadelphia in 1943, Crumb began drawing comics as a young boy, influenced by his older brother Charles. In the early 1960s he drew cards for the American Greetings Corporation and in the late 1960s he traveled to New York, Chicago, and Detroit and created many of his rambunctious and unforgettable characters including Mr. Natural, Mr. Snoid and Angelfood McSpade. In 1967, he moved to San Francisco and later that year he drew “Zap #1” and “Zap #0” and sold them on the street, which marked the beginning of his role as one of the founding fathers of the underground comic movement. In the last months of 1969, Crumb received a $10,000 advance from Ballantine Books for a “Fritz the Cat” book, but he later killed the character, dissatisfied for its portrayal on film. 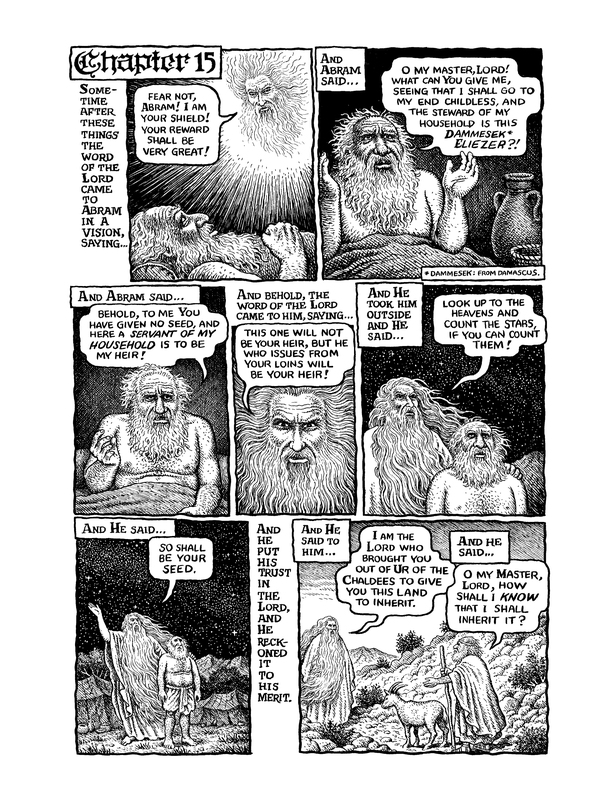 Crumb’s “Mr. 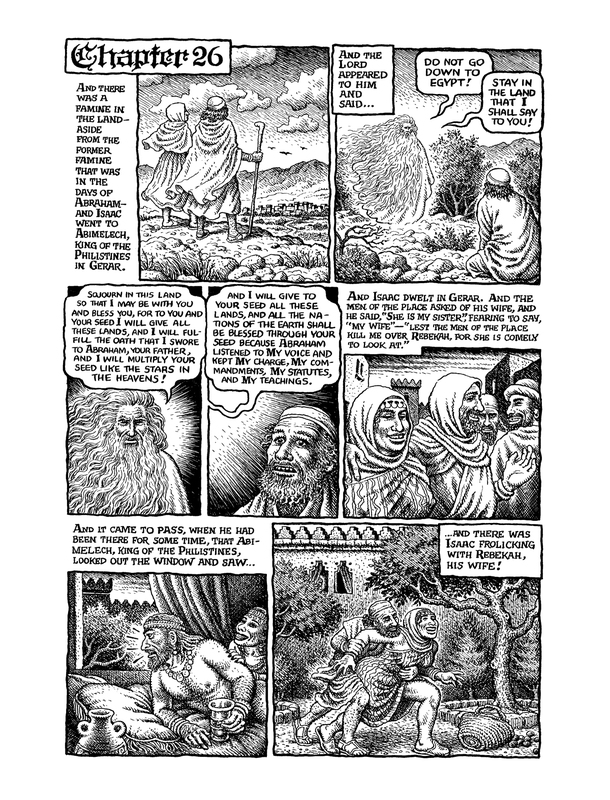 Natural” strip ran in The Village Voice for about a year (later compiled as “Mr. 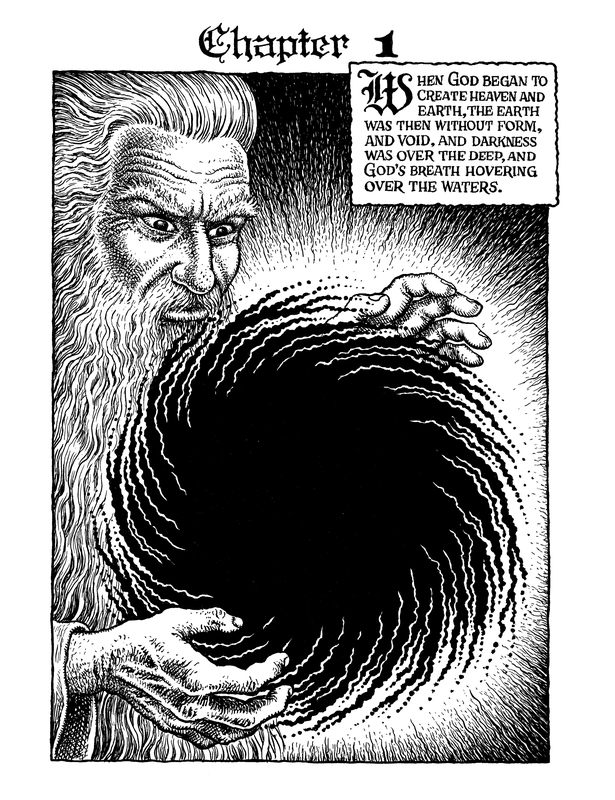 Natural #3”), and in 1981, he produced and edited a new comic magazine called “Weirdo” which included the work of other artists. 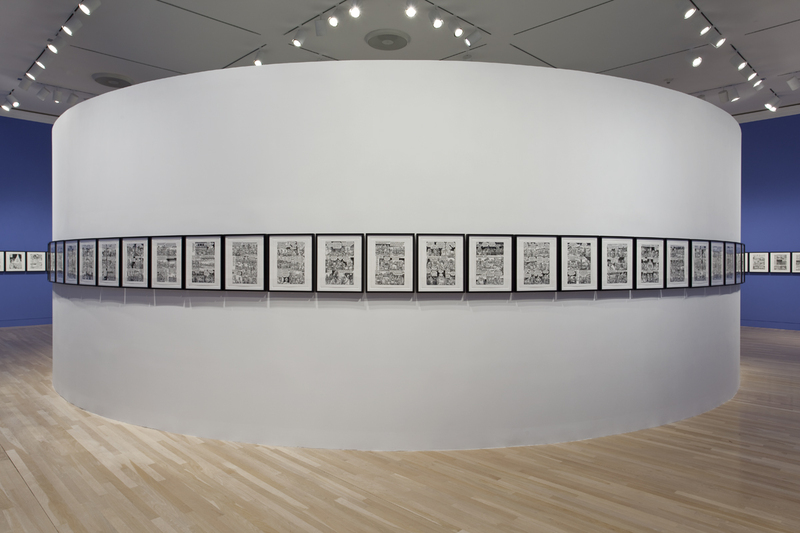 By the end of the 1980s, Crumb and his wife, Aline, relocated to the south of France, where they live and work today. 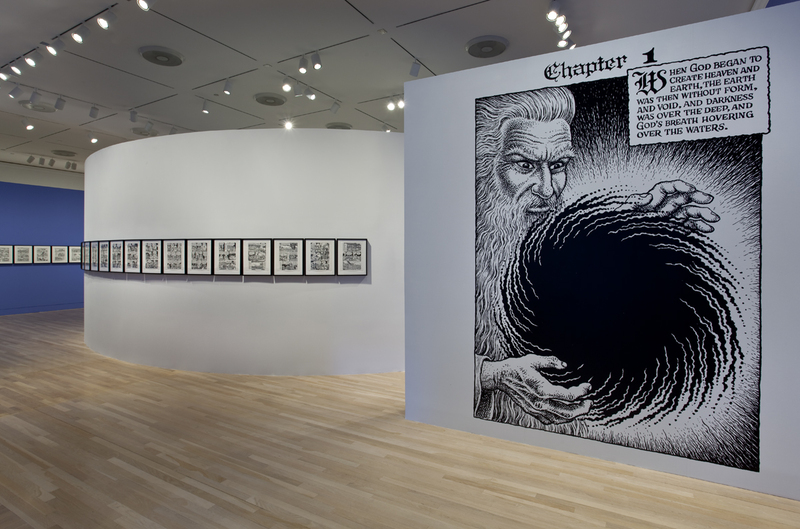 R. Crumb’s exhibition at the Hammer Museum is preceded by solo exhibitions at the Yerba Buena Center for the Arts, San Francisco; the Institute of Contemporary Art, University of Pennsylvania, Philadelphia; The Museum Boijmans Van Beuningen, Rotterdam, The Netherlands; Whitechapel Art Gallery, London; David Zwirner, New York; and Paul Morris Gallery, New York. He has also been included in numerous group exhibitions and has been published widely. 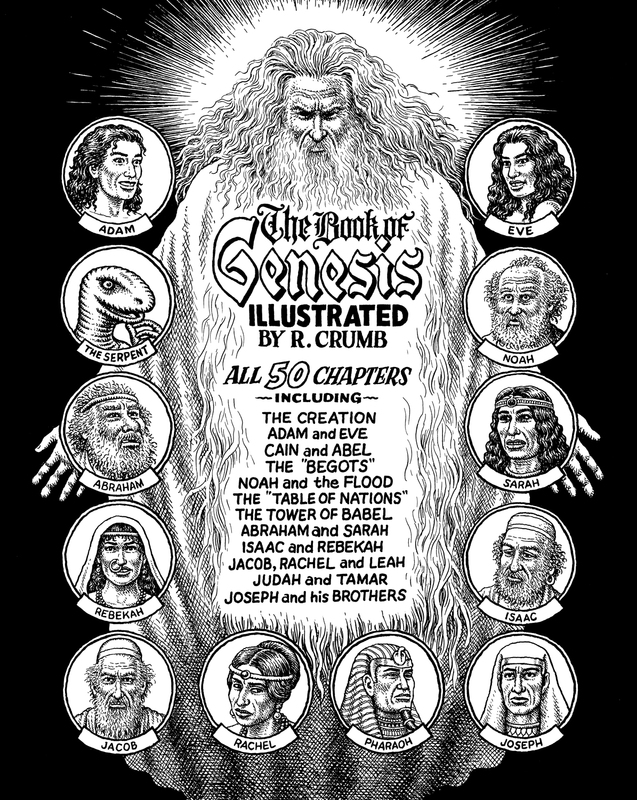 A selection of books and catalogues featuring Crumb’s work includes Cult Fiction (2007) published by Hayward Gallery, London; The Best American Comics, 2006 (Houghton Mifflin, Boston); An Anthology of Graphic Fiction, Cartoons and True Stories, 2006 (Yale University Press, New Haven, CT); R. Crumb’s Heroes of Blues, Jazz & Country, 2006 (Harry N. Abrams, Inc., New York); Masters of American Comics, 2005 (Hammer Museum and The Museum of Contemporary Art, Los Angeles); and Yeah, But is it Art? 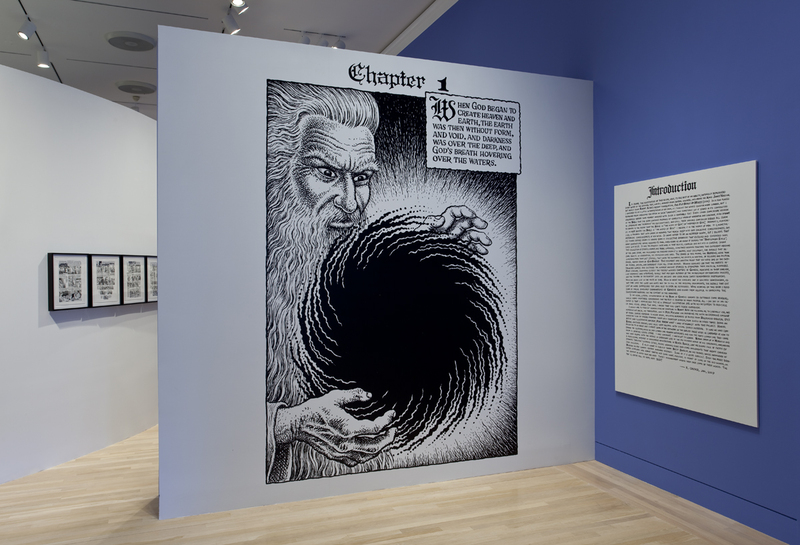 R. Crumb Drawing and Comics, 2004 (Ludwig Museum, Cologne, Germany). 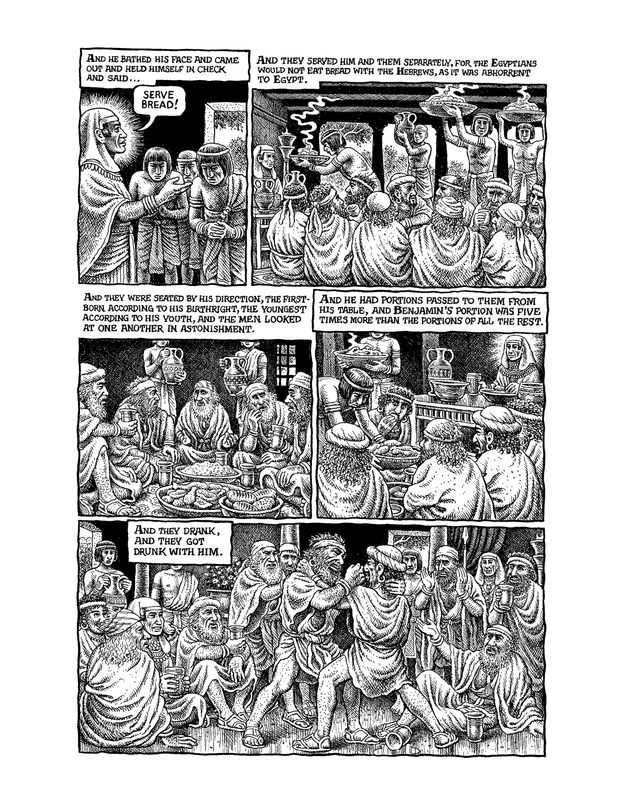 Books by the artist include The Sweeter Side of R. Crumb, 2006 (MQ Publications, London); The R. Crumb Handbook, 2005 (MQ Publications, London); R. Crumb’s Kafka, 2004 (Ibooks Graphic Novel, New York); Crumb Family Comics, 2003 (Last Gasp, San Francisco); and The R. Crumb Coffee Table Art Book, 1997 (Little, Brown and Company, London). 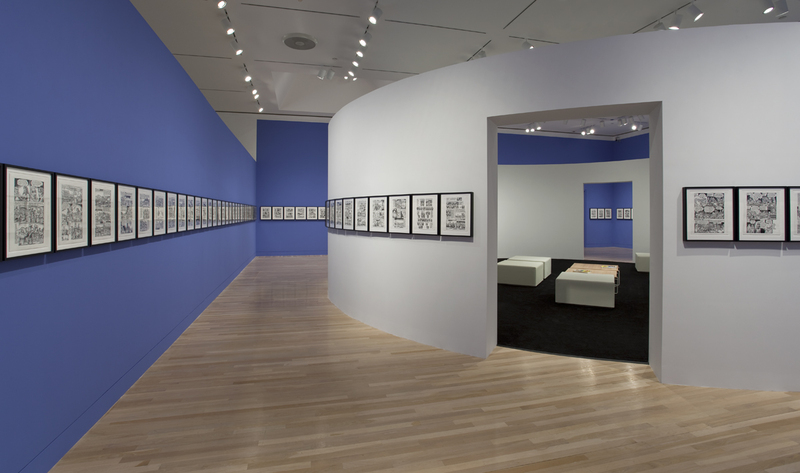 Generous support for this exhibition is provided by Brenda R. Potter. 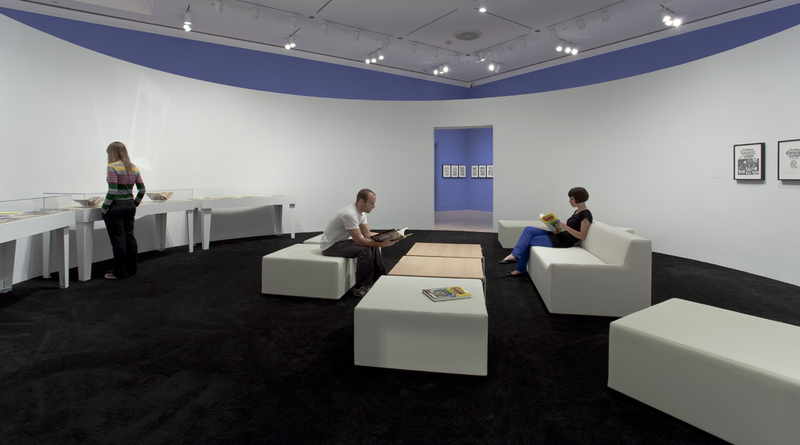 KCRW 89.9FM is the official media sponsor of the exhibition.